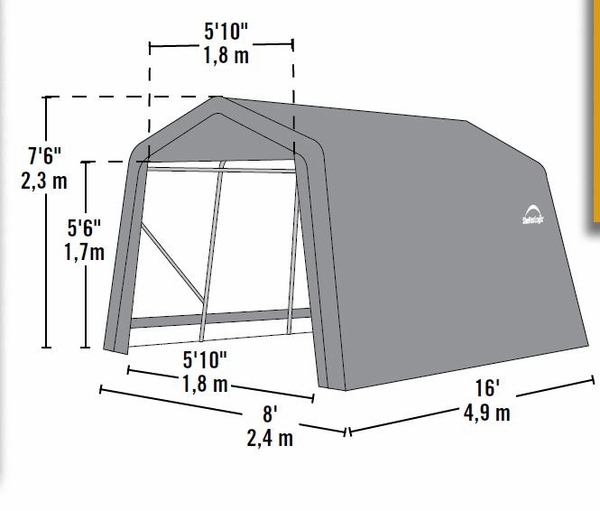 This portable shelter from Shelter Logic gives you all the storage space you need for your outdoor items and equipment. The shelter features a powder coated steel frame, finished with a unique DuPont thermoset compound that is resistant to rusting and cracking. The cover is made of an incredibly durable commercial grade woven polyethylene with a UV treated backing that resists damage from the Sun. 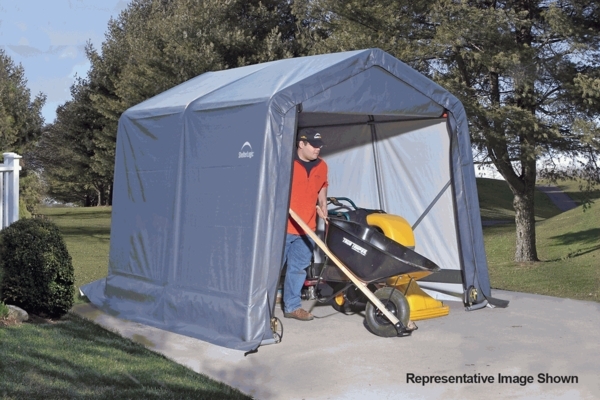 The shelter is easily accessible with a front and rear zippered door.